More than 3.000 participants, a fast swim with 43' swim splits by Bart Colpaert 42:54, Igor Amorelli 44:21 G. Molnár 44:22, Philipp Graves 44:23, Andreas Raelert 44:25, Franz Höfer 44:55 Alun Woodward 45:00, Maik Twelsiek 45:05, Thiago Vinhal 45:08 and Jarmo Hast 45:09. Follow all the action with video (from 2pm), photo and text updates on Ironman.com. A 2013 race replay is available. Hamburg World Championship Series ist with no doubt the biggest Triathlon on planet. But even for endurance youngsters the City of Hamburg is able to attract 3.000 kids and teens for swim, bike and run workout from 100 schools in Hamburg. Do you remember these Tour de France mountain stages, with thousands of spectators and the streets all over with names and slogans? Do you also love Triathlon and really embrace these uphill races? Join International Triathlon Union's Social Media campaign and tweet or post on their website a 25 word slogan you would like to be sprayed on these uphill segments around Kitzbühler Horn. If you don't remember how it looks like, just watch the video below. Gelungener Auftakt der deutschen Triathlontalente bei der U23-Europameisterschaft in Holten (Niederlande). Im Teamwettbewerb sicherten sich Hanna Phillipin (Saarbrücken), Maximilian Schwetz (Erlangen), Lisa Sieburger (Griesheim) und Justus Nieschlag (Lehrte) in überzeugender Manier die Goldmedaille. Nach 1:16:25 Stunden verwies das Quartett der Deutschen Triathlon Union die Russen (1:16:49 Stunden) und Spanien (1:17:14 Stunden) auf die Podiumsplätze. Für diese dürften sich die vier DTU-Nachwuchsleute bei der Konkurrenz gehörigen Respekt verschafft haben, denn den Weg zum Mannschaftstriumph beschritten sie durchaus beeindruckend: Hanna Phillipin verkleinerte das Feld zum Auftakt und übergab als Zweitplatzierte an Maximilian Schwetz. Dieser setzte sich von der Konkurrenz ab und sandte Lisa Sieburger auf eine bereits einsame Reise. Bei ihrem ersten internationalen Auftritt für die DTU vergrößerte Sieburger den Vorsprung noch, was Schlussmann Justus Nieschlag dazu animierte, es ihr gleich zu tun und ebenfalls offensiv den Sieg zu sichern. „Die Stimmung war vorher schon sehr gut, durch diesen Auftakt wurde sie noch besser, und wir freuen uns jetzt auf die Rennen am Samstag“, blickt der Bundestrainer voraus. Die Herren werden ab 10:30 Uhr und ab die Damen ab 13:45 Uhr um weitere gute Ergebnisse kämpfen. Das EJOT Team Buschhütten hat insbesondere im Rennen der Männern die Meßlatte gewaltig hoch gelegt, als bei der Station der Deutschen Triathlonliga am malerischen Schliersee erneut Dominanz gezeigt wurde. Nicht nur sportlich zeigen sich die Siegerländer als "FC Bayern des Triathlons" weit vorne. Multimedial wird 2013 mehr auf auf Video gesetzt. Former Ironman Hawaii Triathlon bronze medalist Virginia Berasategui Luna admits doping. In a press conference held on Wednesday she referred to immense "psychological pressure" and "high demands" the sport of triathlon puts on her. Berasategui, who planned to end her career in 2013 was caught on 18 May 2013 in a competition testing in Bilbao, Spain. 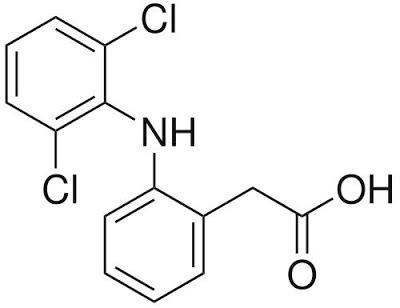 EPO, the banned substance was found the second time during her career. But a positive finding in 2005 at Ironman Lanzarote was declared not valid, due issues with transportation and cooling. "I'm sad to end my career like this, but I'm glad I made the decision to confront the reality of things, tell the truth. I have decided that I won't appeal because I know my guilt. I could have tried to move on, look for external causes, but why? I've decided to face the truth, because life goes on and I continue to be open and honest." Regarding her peer group, she showed sorrow and asked for "forgiveness from all the people who I've cheated, especially those people who have always believed in me. 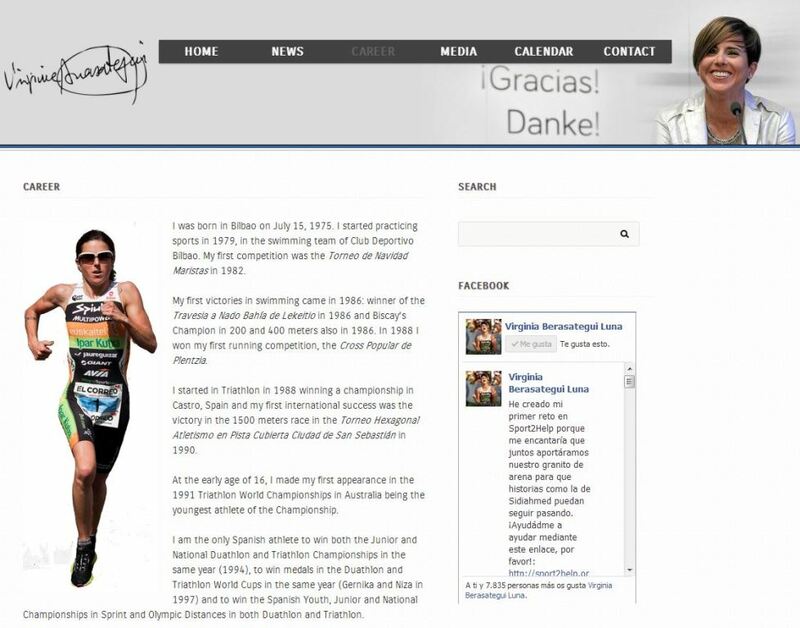 My sponsors, institutions, all athletes, amateur and professionals. I know my act of weakness has been great but it comforts me to think that there are many people that despite the action that I made, the first victim I am myself, forgive me. I'm here to stand up and apologize. Throughout my career I have spent hundreds of controls and has always been clear that I played fair. Now, at the end of my career, I have fallen in the worst mistake in which an athlete can fall." Berasategui Luna dealt long term during her career with lower leg and feet issues. Berasategui Luna is one of the few pros in triathlon, that is not taking every possible legal action against a positive A-sample. The last notable name, who admitted right on her positive testing was Nina Kraft from Germany, who cheated during Ironman Hawaii 2004. .... some things are missing. Positive first. A big plus is the early confession, that relivies every stakeholder from legal proceedings. What I personally miss is a clear confession with estimated time ranges, when doping started. I'm not sure, if "at the end of my career" satisfies me. I'm demanding this, because the flowery phrase "hundreds of controls and has always been clear" unleashes some alarm bells. Usually this or similar phrases indicated in the past, that one is not willing to give a full statement like "I did not doped from time range A to B." Also missing are some words on the network behind. What about supply chain and supporters? 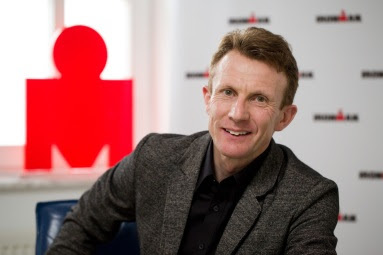 IRONMAN today announced the acquisition of YWC Copenhagen. The privately held company organizes several triathlons and edurance sport events throughout Denmark including the popular KMD Challenge Copenhagen and KMD Challenge Aarhus. YWC’s events are a strong addition to the global IRONMAN calendar. Details on the event schedule will be released over the next two weeks. IRONMAN Coeur d'Alene saw new rules for safer swimming. Follow this and a dozen short video clips from all the action around this race. International Triathlon Union's Triathlon World Cup in Edmonton saw not just only a victory from Canada. The men's race saw a crash during the bike leg with several athletes down. The newest addition to the IRONMAN circuit will take place on Sunday, August 3, 2014. 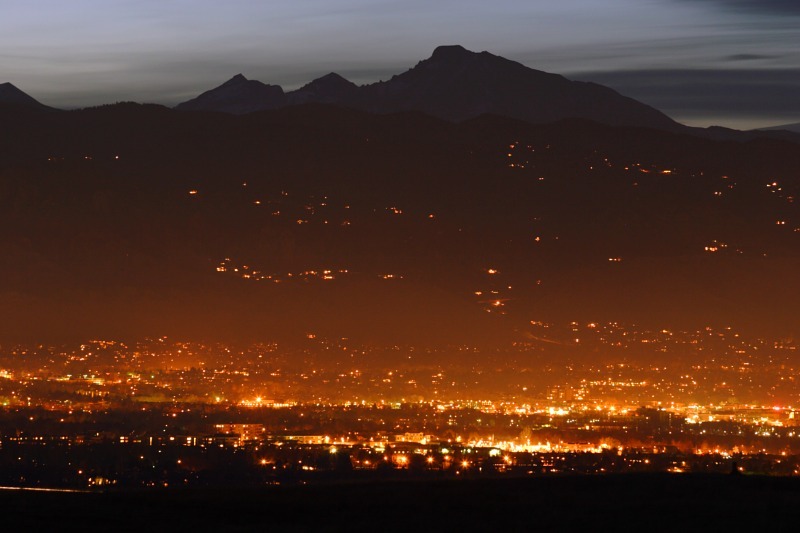 There’s a saying in the triathlon world: "Boulder is the new San Diego." For all that the mountain town has to offer triathletes, today’s announcement of the new IRONMAN Boulder is the cherry on top. As the 10th full-distance IRONMAN in the U.S., Boulder demonstrates IRONMAN’s continued growth in a region where health and fitness are as integral to the culture as playing outside. Registration will open at noon EST Wednesday, July 17. "The city is already buzzing about the event," says race director Dave Christen, who directed IRONMAN 70.3 Boulder last year. A triathlete himself, Christen moved to Colorado as soon as he could after college. The picturesque college town has attracted countless pro triathletes with its blend of wide-open mountain roads, trail running and world-class coaches. Many Australian and European pros relocate to what some have dubbed "Pro Town" for half the year to take advantage of the altitude and prime training - IRONMAN world champions Craig Alexander and Mirinda Carfrae among them. 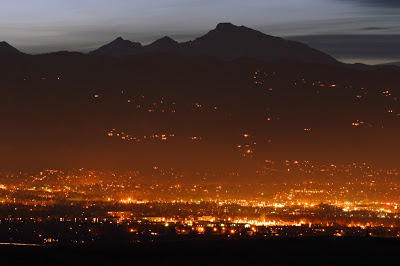 Centrally located in the foothills of Colorado's Rocky Mountains just 35 minutes northwest of Denver, Boulder sits 5,430 feet above sea level and enjoys 300-plus days of sunshine a year. As if pros and scenery weren’t enough, two IRONMAN partners—TrainingPeaks and Newton Running—also make their home in Boulder. Triathlon’s roots run deep here and, next August, thousands of IRONMAN athletes will be able to experience it for themselves. IRONMAN Boulder will take place on Sunday, August 3, 2014. Athletes will swim a single 2.4-mile loop in Boulder Reservoir. After transitioning to the bike, they’ll set out for a single-loop, 112-mile ride that heads north of Boulder to Carter Lake. The course will finish up over the flat and fast eastern roads outside of the Front Range. The second transition will take place at Boulder High School, just two blocks from downtown Boulder. Athletes will complete two loops, staged entirely on the Boulder Creek Trail, and finish on Pearl Street, with its vibe that's part urban energy and part mountain town. Note IRONMAN Boulder will be part of the 2014 Boulder Tri Series, which also includes the 2014 IRONMAN 70.3 Boulder (June 15), and the Boulder Peak Triathlon (July 13). Registration for the 2014 Boulder Tri Series will only be available from Tuesday, July 16 at 9 a.m. EST. until Wednesday, July 17th at 9 a.m. EST. We will have a limited number of 2014 Boulder Tri Series entries. For more information on registration for the 2014 Boulder Tri Series, please visit links below. ITU today announced record broadcast numbers in the first quarter of the 2013 World Triathlon Series season, confirming the sport’s ever rising television value. Following the ITU World Triathlon races in Auckland and San Diego, an independent analysis by REPUCOM demonstrated TV contacts*, audience and broadcast time have all doubled in value for each of the races. In the first event alone, TV contacts reached over a billion contacts, which is twice the size of the 2012 Auckland Grand Final and six times the popularity of last year’s season start in Sydney. In 2012, San Diego acquired 227 million TV contacts and an audience of 6.56 million. This year, the race produced 485 million TV contacts, attracting nearly three times as many viewers, with 15.11 million having tuned in to see Olympic gold medallist Alistair Brownlee and America’s own Gwen Jorgensen win the men’s and women’s races. In 2012 the World Triathlon Series reached over 5.43 billion TV contacts and 1045 hours of broadcast time. At the current rate of growth, TV figures are expected to see a six fold increase from the Series inaugural year in 2009. The spike in television numbers was made possible through commercial deals brokered by ITU partner Upsolut with 23 broadcast companies to show the WTS races live, while 25 TV partners aired ten 52-minute magazine programs in more than 160 countries. 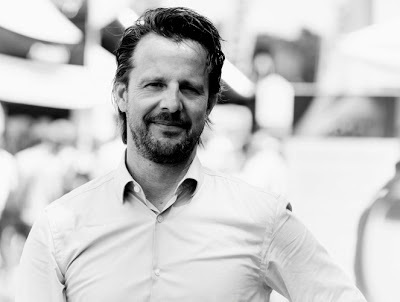 Frank Bertling ist als Geschäftsführer der Upsolut Event GmbH und Vice President National Events der Upsolut Sports AG verantwortlich für den World Triathlon Series Triathlon von Hamburg. Upsolut ist als hundertprozentige Tochter der französischen Lagardère Gruppe auch in anderen Ausdauersportarten aktiv. Wenige Wochen vor dem Hamburg Triathlon 2013 konnte DNF-is-no-option.com über Hamburg, Triathlon und Ausdauersport sprechen und insbesondere wichtige Aspekte wie die Bewegtbildvermarktung diskutieren. DNF-is-no-option.com (3athlon.org): Herr Bertling es ist einige Zeit ins Land gezogen, seitdem der ehemalige Präsident der Deutschen Triathlon Union (DTU), Dr. Klaus Müller-Ott gemeinsam mit Upsolut eine Vision verfolgte und diese erfolgreich umsetzen konnte. Können Sie unseren Lesern kurz umreißen, wie es zu der Idee kam und welche Herausforderungen vor dem Premierenjahr auf Veranstalter und Verband warteten? Frank Bertling: Ich bin dankbar für diese Frage. Weil es tatsächlich Klaus Müller-Ott war, der den Triathlon nach Hamburg geholt hat. 2001 hat Detlef Kühnel uns zusammengebracht und vorgestellt. Beschlossen wurde das Projekt dann im Sommer 2001, rund ein Jahr vor der Premiere. Die Idee lag bereits hier in Hamburg, jedoch ist wegen der Komplexität der Umsetzung keiner herangegangen. Man muss wissen, dass zu Zeiten des ITU-Präsidenten Les McDonald die deutsche Reputation wegen ihrer Oppositionshaltung am Boden lag. Klaus Müller-Ott war letztlich derjenige der den World Cup Status entgegen allen politischen Tendenzen und Verwerfungen zwischen International Triathlon Union und DTU nach Hamburg geholt hat. Klaus Müller-Ott hat sich dagegen gestemmt und im Grunde dafür gesorgt, dass der deutsche Triathlonsport international wieder in Erscheinung treten konnte. Schließlich gelang ihm sogar die Weltmeisterschaften 2007 nach Deutschland zu bringen. Er hat die Entwicklung bewegt, die WM ins eigene Land geholt und im Kielwasser Daniel Unger und Jan Frodeno heranreifen lassen. Unter seine Ägidie fallen zahlreiche wichtige Impulse, von denen auch wir sehr profitiert haben. DNF: Die DTU hat zwischen 2008 und 2011 einige Jahre mit internen Turbulenzen und Scharmützeln in der Personalpolitik hinter sich. Wie bewerten Sie die aktuelle Entwicklung? Wie ist das Verhältnis mit der ITU? In welchen Bereichen werden sich die Verbände weiter entwickeln müssen? Frank Bertling: Alles was man sich auf Verbandsseite mühsam aufgebaut hat, ist im Handstreich vernichtet worden. Die aufgebaute internationale Reputation als Verband war verloren und die DTU konnte sich durch die verlorenen Jahre nicht weiterentwickeln. Dies ist umso erschreckender, weil nach Abschluss aller Verfahren gegen Klaus Müller-Ott im Grunde kein Vorwurf haltbar war. Wenn man ihm einen Vorwurf unterstellen möchte, ist es die unzureichende interne Verbandskommunikation, die aber erfahrungsgemäß nicht immer ganz einfach ist. Wir sind aktuell froh, dass wieder Ruhe eingekehrt ist und die DTU die Arbeit wieder aufgenommen hat. Unser Verhältnis zur ITU ist hervorragend. Wir arbeiten mit allen Stakeholdern sehr eng und vertrauensvoll zusammen. Das Verhältnis ist klasse. Die Finanzierung muss grundsätzlich vom DOSB und Innenministerium neu aufgestellt werden. Der gesamte Bereich des Marketings und Sponsorings hat sich sehr professionalisiert. „Holt euch Sponsoren zur Verbandsfinanzierung“ hört sich immer sehr leicht an. Es ist aber ziemlich schwer. Verbände können oftmals keine qualitativ ausreichenden Angebote mehr formulieren, weil ihnen die Werkzeuge im Vorfeld bereits fehlen. Alleine die zugrundliegende Marktforschung sprengt oftmals den Rahmen, um erfolgreich einen Sponsor zu pitchen. Ein Teufelkreislauf. DNF: Welche Kosten kamen für den erfolgreichen Pitch des Welt Cup Standorts Hamburg auf Upsolut zu? Frank Berling: Wir waren in den glücklichen Lage durch die solide Vorarbeiten auf ein gemeinsames Budget der Stadt Hamburg und anderer Träger zugreifen zu können. Mit der ITU haben wir zudem ein Lizenzierungswesen gemeinsam entwickelt. Das funktioniert in der Regel ganz gut. Schwierig ist nach wie vor das Kommunikationsfeld ITU, DTU und genehmigender Landesverband. Alle haben unterschiedliche, gelegentlich widersprüchliche Ansprüche an uns. Wir sind nicht in der Lage mit allen drei Parteien zu sprechen und zu verhandeln. Die Verbände müssen sich besser aufstellen, abstimmen und mit einer Stimme sprechen. DNF: Hamburg ist der weltgrößte Triathlon. Wie viele Teilnehmer haben 2013 gemeldet? Gibt es Präferenzen oder Trends bei den Distanzen? Frank Bertling: 2013 können wir 8.500 Einzelstarter und 1.500 Staffelteilnehmer, verteilt auf 500 Staffeln zählen. Bei uns ist in den letzten Jahren für den Sprint eine höhere Nachfrage erkennbar. Er ist auch schneller ausverkauft. Wir haben einen ganz klaren Wechsel in der Athletenhistorie. Nach 1-2 Sprint-Triathlons wechseln viele Triathleten zur olympischen Distanz. Das können wir ganz gut verfolgen. Um einen Richtwert zu geben: 25% beträgt die Umsteigerquote in den letzten Jahren etwa. Ich glaube es wäre sehr interessant zu sehen, wer von unseren Events erfolgreich auf die Mittel- und Langdistanz geht. Wir leisten hier quasi Aufbauarbeit für WTC und Challenge. Ein klarer Trend und das Erfolgsgeheimnis von Hamburg ist unser Fokus auf Rookies. Jedes Jahr zählen wir 2.000-3.000 neue Teilnehmer, die den Zyklus neu beginnen. Wir können auch durch unsere anderen Aktivitäten viele Ausdauersportler beobachten, die alles machen. Sie nehmen an den Vattenfall Cyclassics und dem Hamburg Triathlon teil. DNF: 2013 wird in Hamburg im Rahmen des Elite-Triathlons der ITU erstmalig das ansprechende und spannende Staffelformat ausgetragen. Bei dem jeweils zwei Frauen und Männer auf Ultra-Sprint Distanzen alternierend starten. Wie wichtig sind Innovationen bei der Präsenz von Streckenformaten und wo sehen Sie global betrachtet traditionelle und klassische Strecken bis hin zur Langdistanz? Frank Bertling: Die Staffel ist hochinteressant. Ein sehr gutes und spannendes Fernsehformat. Dies hat man im vergangenen Jahr gesehen. Die Aussage gilt auch für die Einzelwertung im Sprint. Die Sprintdistanzen sind mit ihrer Dauer von 45 bis 60 Minuten extrem gute Fernsehformate. Sie sind sehr kurzweilig, schnell und spannend. Für die Zukunft im Auge behalten und aufpassen muss der Triathlon, dass man nicht zu kompliziert wird. Triathlon ist eine junge Sportart, man kann noch viel probieren. Allerdings darf man nicht vergessen Sportler, Zuschauer, Medien und Sponsoren mitzunehmen. Wenn wir mit vielen Marketingverantwortlichen zusammenkommen, müssen wir etwas mehr Sätze aufbringen, um die Sportart zu erklären. Viele Entscheider sind davor nicht mit Triathlon und seinen zahlreichen Formaten in Berührung gekommen. Klar gibt es viele tolle Ideen. Am Ende des Tages muss man sie organisieren und vermarkten können. Wenn man Rookies bekommen möchte, muss man die Barrieren senken, den Einstieg erleichtern. Die Regeln simpel halten. Teilnehmer nehmen einiges auf sich, wenn der erste Triathlon im Kalender markiert ist. Hier müssen alle Beteiligten mehr Dienstleister sein. DNF: Die ITU folgt mit ihrer World Championship Series (WCS) dem Konzept der World Triathlon Corporation (WTC) neben einem Elite-Rennen große Startfelder von Altersklassen-Triathleten aufzustellen. Wie wichtig ist dieser Baustein, der den Hamburg Triathlon z. B. vom wirtschaftlich extrem erfolgreichen Biathlon World Cup mit seinen ausschließlich kleinen Elite-Feldern unterscheidet. Frank Bertling: Das Zusammenbringen von Profis und Amateuren an einem Renntag, auf quasi eine Strecke an einem attraktiven Ort ist das Grundkonzept. Von Stimmung und Atmosphäre ist Ausdauersport kaum zu toppen. Ausdauersportveranstaltungen sind einmalig auf der Welt. Die Community wird aktuell stark vergrößert. Viele bringen ihre Familien zum Wettkampf mit. Samstag sind alleine 4.500 Personen auf der Strecke. Diese schauen sich dann natürlich mit ihren Familien auch die Elite-Rennen an. Das sorgt für fachkundige Zuschauer an den Strecken. Wobei sich der Hamburger gerne begeistern lässt und nach über 10 Jahren Hamburg Triathlon sehr fachkundig ist. Ich find' es klasse, dass Teilnehmer aus dem Ausland genauso bejubelt werden wie deutsche Triathleten. Dies ist ein unheimlich fairer Zug. DNF: Lassen sich Biathlon und Triathlon vergleichen? Mit der Kombination der Ausdauerdisziplin Langlauf und dem Schießen gelingt es Biathlon immer wieder den Rhythmus in der Führung zu brechen und die Spannung aufrechtzuerhalten. Frank Bertling: Es lässt sich tatsächlich ganz gut vergleichen. Der Durchbruch im Biathlon kam durch die Konzeption eines attraktiven Fernsehformats. Dazu kamen national erfolgreiche Athleten. Der Staffeltriathlon ist als kompaktes Fernsehformat vergleichbar. Auf kurzen Runden lässt sich eine gute Verfolgung vor Ort realisieren. Spannung und Action wechseln sich ständig ab. Am Ende des Tages benötigt man aber auch gute Athleten als Schlüssel zum Erfolg. So sehe ich das im Triathlon auch. Darum ist die Arbeit der Verbände im Spitzensport sehr wichtig. DNF: Die ITU macht mit ihrem Internet-Broadcasting und der Vermarktung der TV-Rechte einen ziemlich guten Job. Triathlon ist Randsportart, wird aber zunehmend platziert. Dennoch ist die Konkurrenz mit den allfällig in Deutschland dominanten Sportarten sehr groß. Die Liveübertragung des WCS Triathlons von Madrid fiel mit der Triple-Feier des FC Bayern zusammen. Aus der geplanten Übertragung wurde leider ein ca. 5 Minuten langer Einspieler, während man zuvor über Stunden Bilder des Umzugs und vom Balkon des Rathauses im Regen aus der bayerischen Hauptstadt sah. Wo steht die Bewegtbild-Vermarktung im ITU Triathlon? Frank Bertling: Die öffentlich-rechtlichen Sender können sich dem Quotendruck leider nicht entziehen. Da kann man nicht viel machen. Wir sind über die aktuellen Übertragungszeiten froh und durchaus präsent. Es gilt aber auch hier, dass die Hausaufgaben gemacht werden müssen. Welche Möglichkeiten bieten die digitalen Medien? Eine unserer Kernfragen der letzten Jahre. Zum Stück machen uns die neuen digitalen Kanäle ein wenig unabhängiger. Zum Beispiel sehe ich definitiv in der Zukunft einen eigenen Kanal. Die Produktionskosten im Ausdauersport, wie unserem Triathlon sind extrem hoch. 120.000 Euro muss man beim Einsatz von Hubschrauber und drahtloser Technik für 2 Stunden Triathlon einplanen. Das ist der Benchmark den man refinanzieren muss. Ein Dart-Turnier dagegen ist für 5.000 Euro umsetzbar. Wir sind mit der Verbreitung im TV aktuell sehr zufrieden. Die World Triathlon Series erreichte 2012 160 Länder und summierte 1.045 Stunden Fernsehberichterstattung. Konkret sind dies 5,5 Milliarden TV-Kontaktzeiten. Das ist schon mal eine Hausmarke. Die WCS konnte die letzten Jahre den Wert immer steigern. Das internationale Interesse wächst stetig. Auch IPTV eröffnet neue Chancen und Möglichkeiten. Die Triathlon - und Ausdauercommunity wächst und wächst. Es werden recht gute wirtschaftliche Ergebnisse erzielt. Selbst im Radsport, nach den ganzen Dopingskandalen der letzten 5-6 Jahre haben wir das nicht wirklich gespürt. Im reinen Profiradsport mag dies anders sein, aber mit unserer Kombination aus Breiten- und Spitzensport können wir andere Angebote unterbreiten. Zudem stellen wir eine Tendenz bei unseren Sponsoren fest, dass viel zielgerichteter geworben und unterstützt wird. 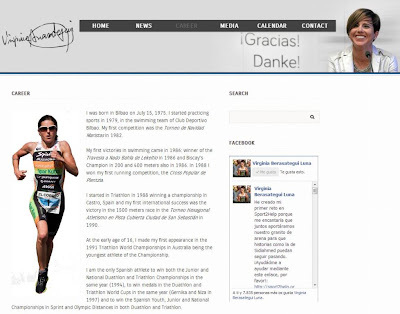 Wir haben durch unsere Formate im Triathlon, Laufen und Radsport wenig Streuverluste. Die Zielgruppe kann sehr präzise definiert werden. Key Performance Indikatoren (KPI) zur Leistungsmessung von Kampagnen haben bei unseren Kunden eine sehr viel höhere Relevanz als vor 5 Jahren bei der Bewertung und Gewichtung der Unternehmensaktivitäten. Natürlich ist der „Season Pass“ für Triathlonlive.tv kontraproduktiv zum frei verfügbaren Fernsehen. Das wissen wir. Wir bauen aber beides auf und entscheiden dann, wo die Reise hingeht. Noch kann keiner genau sagen, wann es Zeit wird, umzustellen. Die NBA in den USA verzichtet hierzulande schon seit Jahren auf Freies Fernsehen. Die kommen mit den Saisonpässen sehr gut klar. DNF: Nach aktuellem Meldestand hat einer der Brownlee Brüder und damit ein Medaillengewinner der Olympischen Spiele von London seinen Start bestätigt. Wie wichtig sind die großen Namen? Wie wichtig war z.B. der Heimsieg eines Daniel Ungers im Jahr 2007. Offensichtlich hat er die Sichtbarkeit des Olympischen Triathlons in Deutschland in der Szene und auch über die Sportartgrenzen hinweg deutlich erhöht. Daniel Unger konnte seine Weltklasse durch ein solides, wenn auch nicht perfektes Rennen bei den Olympischen Spielen von Beijing mit seinem Top 10 Platz bestätigen. Der Tag gehörte allerdings Jan Frodeno, der in einem packenden Zielspurt den Coup landete und Olympiasieger wurde. Jan Frodeno, der spätestens 2015 auf die längeren Distanzen wechseln möchte, hat nach zwei durchwachsenen Jahren mit Verletzungspech seinen ersten Saisonhöhepunkt klar auf Hamburg gelegt. Wie bewerten Sie seine Chancen? Frank Bertling: Namen sind wichtig. Man sieht es in England. Um Triathlon ist ein unglaublicher Hype entstanden. Große Werbeplakate mit den Brownlees sind überall zu finden. Lisa Nordén in Schweden ist vergleichbar. Auch in Deutschland ist derzeit noch im Fernsehen der sportliche Erfolg der Nationalkaderathleten extrem wichtig. Die Berichte sind noch sehr personbezogen. Deshalb sind große Namen wichtig. Frodo ist wie ein Überraschungsei. Man weiß nie was drin ist. Er ist ein sensibler und sehr ehrgeiziger Athlet. Ich würde ihm den Erfolg in Hamburg von Herzen gönnen. DNF: Gibt es eine Favoritin für die Entscheidung im Damenrennen? Frank Bertling: Für mich im Moment Anne Haug. Auch ihr gönne ich den großen Coup vor heimischer Kulisse zu gewinnen. DNF: Triathlon besteht aus Schwimmen, Radfahren und Laufen. Upsolut ist auch in diesen Bereichen aktiv. Anfang Juni fand der Velothon Berlin mit tausenden Teilnehmern statt. Erzählen Sie unseren Lesern über die anderen Aktivitäten im Ausdauersport. Frank Bertling: Traditionell sind wir dem Ausdauersport zu zurechnen. Neben dem Radsport sind wir auch seit 2 Jahren Generaldienstleiser für den Hamburg Marathon. Zukünftig werden wir den Bereich des Schwimmens stärker angehen. Jede der Ausdauersportarten hat ihre Spezifika. Im Grunde genommen sehen wir dann doch sehr viele Synergien bei Upsolut - insbesondere im Vermarktungs-, Logistik-, Presse- und PR-Bereich. DNF: Sowohl World Triathlon Corporation, wie auch die TEAMChallenge haben in Interviews durch ihre Geschäftsführer Andrew Messick und Felix Walchshöfer bestätigt, dass derzeit keine Aktivitäten im Bereich Laufsport oder Radsport geplant sind. Konkret haben wir auch die stärkere Integration dieser Disziplinen in ein langes Wochenende im Rahmen eines Triathlon-Festivals angeregt. Wie sehen Sie die Chancen für diese Idee oder kannibalisiert sich dann der Markt, weil sich Teilnehmer entweder für den Lauf, Triathlon oder das Radrennen entscheiden müssten? Frank Bertling: Wir haben festgestellt, dass die Teilnehmer eine eigene Ansprache wünschen. Verschiedene Sportarten sind schwierig zu kommunizieren. Die Stadt Hamburg hat im letzten Jahr ein Event mit Rudern und Schwimmen auf der Alster versucht. Das hat nicht besonders gut funktioniert. Ich sehe bei verschiedenen integrierten Sportarten nur den Kostenblock bei hohem Risiko, der auf mich zurollt. Ich halte es auch logistisch für schwierig. Die „Eventisierung“ in Großstädten hat stark zugenommen. Längere Sperrzeiten von Straßen und öffentlichem Raum oder Genehmigungen für neue Events sind schwer zu bekommen. Der IRONMAN 70.3 Berlin ist ein gutes Beispiel. Die Spielräume werden enger. Dieses sind zumindest unsere Erfahrungen in Hamburg und Berlin und auch teilweise im Ausland. Die Erweiterung auf plattem Land ist da wohl schon um einiges einfacher. DNF: Als Tochter eines multinationalen Sportkonzerns ist Internationalisierung immer auf der Tagesordnung. Gibt es konkret fortgeschrittene und kommunikationsreife Pläne in weiteren Ländern oder Kontinenten aufzutreten? Frank Bertling: Aktuell sind wir im Triathlon in Auckland, Stockholm, San Diego, Chicago und Kitzbühel aktiv. Stockholm verzeichnete im ersten Jahr rund 2.000 Starter, dieses Jahr sind wir schon bei 4.000 Teilnehmern. Wir setzen klar auf attraktive Orte. Hamburg ist der Benchmark-Event. In Stockholm haben wir den besten Platz vor dem Königspalast. Wir gehen in die großen Städte, um die besten Plätze zu belegen. Hier liegt unsere Kernkompetenz. DNF: Wenn Sie einen Wunsch frei haben. Was wünschen Sie sich für das Wettkampfwochenende? Frank Bertling: Ganz vermessen habe ich sogar zwei Wünsche: kein Hamburger Schietwetter und einen Sieg der deutschen Nationalmannschaft in der Gemischten Staffel. Übrigends in ganzer Länge Live in der ARD. DNF: Wir bedanken uns für das ausführliche Gespräch und wünschen alle Startern, Helfern und Zuschauern beim Hamburg Triathlon gutes Wetter und viel Erfolg. International Triathon Unions (ITU) Sports Science & Triathlon is generating stronger momentum each year. This video brings you 11:51 minutes first hand impressions and a statement from ITU's president Marisol Casado, Prof. Gregoire Millet, Dr. Iñigo Mujika, Rolf Ebeling, Jack Maitland, Dr. Adrian Bürgi, Dr. Stephen Seiler, Sergio Santos, Gemme Smith, Bolajoko Dixon-Ogbechi, Melissa Mantak, Dr. Liz Broad, Malcolm Brown, Dr. Sikuade Jagun, Dr. Margo Mountjoy, etc. Die Spanierin Virginia Berasategui Luna ist im Rahmen des von ihr am 18. Mai 2013 gewonnenen Bilbao Triathlons über die Halbdistanz positiv getestet worden. Dies berichteten übereinstimmend El Mundo und Marca. Von sechs durchgeführten Wettkampfkontrollen war nur Beresategui Lunas positiv. Berasategui Luna plant, nach aktuellem Sachstand, die Öffnung der B-Probe zu veranlassen. Berasategui Luna wollte ihre Karriere 2013 ausklingen zu lassen. Dies kündigte Sie im Umfeld des Wettkampfs von Bilbao an. Über lange Jahre machten der zierlichen Athletin massive orthopädische Probleme, die primär aus einer deutlichen Beinlängendifferenz resultierten, zu schaffen und verhinderten konstant gute Leistungen im Laufen. Bereits 2005 kam es im Rahmen des Sieges beim IRONMAN Lanzarote zu einem postiven Test der ehemaligen ITU-Spezialistin. Allerdings wurden die Ergebnisse, wie auch von anderen bei diesem Rennen getesteten Profis angezweifelt, weil etwa die Kühlkette nicht ausreichend gewahrt gewesen sein soll. Sanktionen wurden nicht ausgesprochen und die Ergebnisse als Messfehler eingestuft. Berasategui Luna war zum Zeitpunkt ihrer besten Ergebnisse auf Hawaii mit einem deutschen Radfahrer liiert, der in seiner aktiven Karriere bereits 2001 einer Schutzsperre wegen eines zu hohen Hämatokritwertes unterlag. Das us-amerikanische Portal Slowtwitch hat den aktuell umfangreichsten Artikel, insbesondere im Blick auf das Testergebnis von 2005 zum Fall. Fast jeder engagierte Ausdauersportler hat diese Situation bereits so oder so ähnlich erlebt. Einige Sportler diskutieren vor dem Start eines Rennens oder besonders harten Trainingseinheiten den Gebrauch von Schmerzmitteln. Oder Einsteiger recherchieren aus Respekt vor Distanz, Schweinehund und zu erwartender Schmerz- und Seelenpein die ein oder andere legale Abkürzung der gesteuerten Risiko- und Selbstüberwindung. Der Einsatz von Schmerzmitteln ohne gewichtige medizinische Indikation bewegt sich aus verschiedenen Gründen dicht an der Grenze von Doping. Nicht zum ersten Mal warnen Sportethiker oder Mediziner vor dem Einsatz von Schmerzmitteln aus der Gruppe von Cox2-Hemmern, bzw. vergleichbar wirkenden Medikamenten. Aktuell verweist hochoffiziell die EU-Behörde EMA vor dem steigenden Risiko für das Herz- und Kreislaufsystem am Beispiel von Diclofenac, wie SpOn mitteilt: "Das Arzneimittelsicherheitskomitee der Ema begründet seine Warnung damit, Diclofenac sei hinsichtlich der Risiken für Herz und Kreislauf vergleichbar mit den sogenannten Cox-2-Inhibitoren. Der bekannteste Vertreter dieser Gruppe ist Rofecoxib, bekannt unter dem Namen Vioxx. Hersteller MSD Sharp & Dohme musste das Schmerzmittel 2004 vom Markt nehmen, nachdem in einer Studie ein erhöhtes Risiko für Herzinfarkte und Schlaganfälle bekannt geworden war." Für gesunde Sportler die besonders belastenden Wettkampf- und Trainingssituationen ausgesetzt sind, können unabhängig von den auf die dauerhafte Einnahme von Cox2-Inhibitoren verwendeten Zahlen der Behörde, auch geringere und sporadisch eingesetzte Medikation ein Risiko darstellen. Unabhängig von der medizinischen Ebene kann der Missbrauch von Medikamenten formal einen Dopingverstoss bedeuten und kann durchaus als Selbstbetrug und Betrug am Sportkollegen durch manipulierte sportliche Leistung klassifiziert werden. Auch im Paralympischen Triathlon wurde am vergangenen Wochenende in sechs Kategorien sportliche Klasse gezeigt. Das Video zeigt alle wichtigen Entscheidungen und gibt einen Ausblick auf die Medaillenchancen, wenn Triathlon erstmalig bei den Paralympics 2016 in Rio offiziell stattfinden wird. Ein besserer Abschluss der Eliterennen bei der Triathlon-Europameisterschaft in Alanya war nicht möglich: Gold für das deutsche Quartett im Teamwettbewerb vor Russland und Italien. 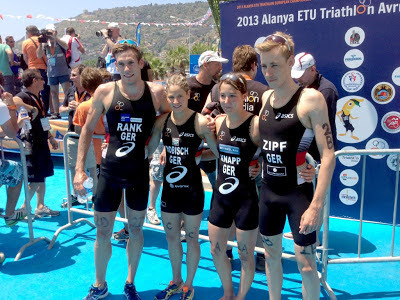 Anja Knapp (Dettingen), Jonathan Zipf, Rebecca Robisch (beide Saarbrücken) und Sebastian Rank (Rostock) jubelten im Ziel ausgelassen und bescherten sich und der Deutschen Triathlon Union somit ein weiteres tolles Resultat bei den europäischen Titelkämpfen. Mit einer Medaille hatte der dritte und letzte Wettkampftag auch schon prima begonnen: Die Staffel der Junioren mit Laura Lindemann (Potsdam), Jonas Breinlinger (Saarbrücken), Laura Sprißler (Freiburg) und Lasse Priester (Quickborn) erreichte ebenfalls das Podium und sicherte sich Bronze hinter Großbritannien und Frankreich. „Das war ein ganz cooles Rennen von uns“, fasste Jonathan Zipf die Teamstimmung prägnant zusammen. „Und Ranki am Schluss war brutal“, ergänzte er mit Blick auf Schlussschwimmer, - radler und –läufer Sebastian Rank, der sich ganz besonders freute, nach einem etwas verkorksten Einzelrennen noch einmal starten zu dürfen. „Dank an die Teamleitung. Ich wollte mir und den anderen beweisen, dass ich nicht so schlecht drauf bin, und das hat geklappt“, strahle er vor allem mit den drei weiteren Europameistern um die Wette. „Das ganze war eine tolle Teamleistung, wir waren gleich dabei, haben gut gewechselt, alles topp“, kommentierten auch Knapp und Robisch den Sieg überglücklich. Auf dem Programm für die Staffelteilnehmer standen jeweils 300 Meter Schwimmen, sechs Rad- und zwei Laufkilometer. Das DTU-Trainerteam hatte die Besetzung Knapp, Zipf, Robisch und Rank ins Rennen der Elite geschickt. Der Einzel-Vierte Maximilian Schwetz musste wegen wund gelaufener Füße passen. Den Anfang machte Anja Knapp, die nach gutem Schwimmen etwas an Zeit verlor und somit hinter einer Vierer-Spitzengruppe, bestehend aus den Niederländern, den Franzosen, den Ungarn und den Ukrainern, auf Jonathan Zipf wechselte. „Ich habe mich das ganze Wochenende nicht so frisch gefühlt, so dass ich gesehen habe, den Rückstand so kurz wie möglich zu halten“, so Knapp. Aus dem Führungsquartett wurde ein Trio, dass die deutsche Staffel mit drei weiteren Konkurrenten hartnäckig und erfolgreich verfolgte. „Anja hat so übergeben, dass wir die Lücke schnell schließen konnten“, sagte der zweite aus dem deutschen Quartett im Ziel. Rebecca Robisch absolvierte ihren Part entsprechend zunächst gemeinsam mit fünf Staffeln in der Führung, von denen allerdings Frankreich und die Ukraine sowie eines von zwei russischen Teams noch eine Zeitstrafe absitzen mussten. Beim letzten Wechsel hatte Robisch sich dann aber mit Italien etwas absetzen können, so dass Sebastian Rank als Mitführender sein Rennen aufnehmen konnte. „Ich bin gerannt wie der Wind“, resümierte sie augenzwinkernd. Schnell gesellte sich die in Schlagdistanz verbliebene russische Staffel zu diesem Duo und auf die finalen zwei Laufkilometer ging Rank mit seinen zwei Konkurrenten Davide Uccellari und Alexander Bruykhankov mit einem Vorsprung von 20 Sekunden auf die Franzosen an vierter Position. Schon gestern mit guter Laufleistung im Einzel sorgte er dann für den bestmöglichen Abschluss der Eliterennen bei der EM: Gold für das DTU-Team. „Da war auch ein bisschen Wut im Bauch mit im Spiel“, erklärte der neue Europameister. Somit überstrahlten die „Großen“ sogar noch die Superleistung des Juniorenteams, das auf Platz drei ins Ziel lief. 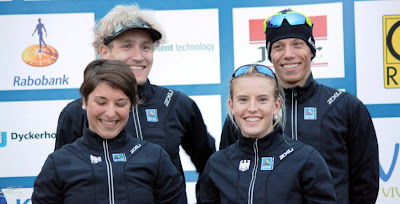 Dieses bildeten Silbermedailengewinnerin Laura Lindemann, Jonas Breinlinger, Laura Sprißler und Lasse Priester. Zwei Runden lang lieferten sich die DTU-Junioren einen Kampf mit den Franzosen und den Norwegern, dann griffen die britischen Einzelmedaillengewinner und auch die Italiener ebenfalls in das vordere Geschehen ein. Nachdem Lindemann gemeinsam mit Norwegen als Zweite hinter den Franzosen wechselte, hielt Breinlinger diese Position zunächst. Laura Sprißler griff auf dem Rad beherzt an, konnte den „Staffelstab“ nach dem Laufen letztlich als Dritte an Lasse Priester übergeben. Dieser musste dann die Briten ziehen lassen, rang mit Frankreich aber um die Medaillen und sicherte einen tollen Bronzeplatz. Ivan Vasiliev (RUS) continued his successful season at the 2013 Alanya ETU Triathlon European Championships on Saturday, winning his first European title. Alessandro Fabian (ITA) executed a strong race plan from start to finish for silver, while Mario Mola (ESP) smoked the run yet again to make up nearly two minutes off the bike for bronze, each claiming their first elite European Championship medals. The amphibious Richard Varga (SVK) led the men around the two-lap swim course and into transition. But his lead was minimal, as Vincent Luis (FRA) and Maximilian Schwetz (GER) followed Varga out of the ocean just a second later. A total of 14 men got their bikes out of transition with an 11-second lead, but that group quickly dwindled down to 10 approaching the first bike turn with a half minute advantage. Included in the group that broke away was Varga, Vasiliev, Alessandro Fabian (ITA), Pierre le Corre (FRA), and Dmitry Polyanskiy (RUS). Meanwhile, pre-race faourite Mola trailed in the second group 40 seconds down after the first lap. By the second lap the group fell to just nine when Polyanskiy dropped to the chase group, then nearly a minute back. After Varga punctured a tire to take him out of the race on lap 4 of the bike, the leading eight had increased their lead to over a minute and a half with one lap left. A speedy transition saw the top eight head for the four-lap run course with a 1:44 minute lead. Vasiliev took immediate charge, clearing past all the men by the first run turn with Fabian trailing hotly. Behind them, Mola had already slashed 20 seconds off his deficit to come within 1:17 on the first lap. Vasiliev's early push paid off, as he gradually increased his lead with each lap over Fabian, Schwetz, and Luis. On the third lap, Fabian put on his running cap, attempting to reel in Vasiliev, effectively dropping Schwetz and Luis. But the Russian was too strong on Saturday and held his position to earn the European title in 1:42:09. Fabian crossed over seven seconds later in 1:42:16. But the battle for bronze began on the bell lap when Mola smoked the competition and ran himself into third in 1:42:22 despite starting the run nearly two minutes behind the leaders. Mit einer couragierten und tollen Leistung stürmte Maximilian Schwetz (Erlangen) mit einer Zeit von 1:42:42 Stunden auf Platz vier bei den Triathlon-Europameisterschaften in Alanya. Dem jungen DTU-Starter fehlten nur wenige Sekunden zum Podiumsplatz, den ihm der Spanier Mario Mola durch eine fantastische Laufzeit noch kurz vor dem Ziel entreißen konnte (1:42:22 Stunden). Neuer Europameister ist der Russe Ivan Vasiliev (1:42:09 Stunden), Silber holte sieben Sekunden dahinter Allesandro Fabian aus Italien. Die weiteren DTU-Athleten errangen Platz 15 durch Jonathan Zipf (Saarbrücken), Rang 22 durch Sebastian Rank (Rostock), Rang 25 durch Stefan Zachäus (Saarbrücken) und Rang 33 durch Justus Nieschlag (Lehrte). Wie erhofft stiegen nach dem Schwimmen die schnellen Schwimmer Schwetz und Zachäus in der Spitzengruppe aus dem Wasser: nur 30 Sekunden dahinter Zipf und Nieschlag, mit rund 50 Sekunden Rückstand Rank. Da sich die erste Gruppe einig war, Topläufer wie Mario Mola (ESP) nicht herankommen zu lassen, arbeitete sie zusammen, so dass der Vorsprung von Radrunde zu Radrunde wuchs. Entsprechend schwer hatten es in der Verfolgung Zipf und Nieschlag in Gruppe zwei sowie Rank in Gruppe drei. Unter anderem die Mitfavoriten Vasiliev und Fabian sorgten für ein enorm hohes Tempo. So stiegen denn auch letztlich acht Athleten 1:30 Minuten vor den ersten Verfolgern vom Rad, darunter Schwetz und Zachäus. Nach einer Laufrunde hatte sich das Feld etwas sortiert: vornj Vasiliev, dahinter Fabian, Schwetz und Vincent Luis (FRA). Aus der zweiten Gruppe stürmte vor allem Mola nach vorne, Zipf suchte nach langer Verletzungspause sein eigenes Tempo, Nieschlag verlor - nach einer Erkältung in den letzten zwei Wochen – schnell Zeit und Rank war leider nach Disziplin zwei recht weit abgeschlagen. Sein Herz in beide Hände nahm indes Maximilian Schwetz und lief von Beginn an um die Medaillenplätze. Erst Vasiliev, dann Fabian setzten sich zwar etwas ab, aber auf Rang drei hielt sich der Erlanger lange in bester Position, bis in wenige Kilometer vor dem Ziel der famos laufende Mola noch abfing. Ohne echte Enttäuschung eine tolle Leistung von Schwetz. Auch Jonathan Zipf konnte mit seiner Platzierung im ersten Wettkampf über eine Olympische Distanz seit knapp einem Jahr glücklich sein. Sebastian Rank hatte im Schwimmen den Anschluss verpasst, eine ordentliche Laufleistung bedeutete Platz 22, Stefan Zachäus konnte nach zwei guten Disziplinen im Laufen nicht mehr zusetzen und Justus Nieschlag hatte noch mit den Folgen einer Infektion zu kämpfen. „Johnny war im Schwimmen ein paar Sekunden hinten dran und hat die Gruppe verpasst. Nach der langen Pause, war das aber in Ordnung. Justus hatte im Laufen seine Erkrankung zu spüren bekommen und Sebastian und Stefan haben gekämpft“, kommentierte Lorang die weiteren Ergebnisse. Die Leistung von „Max“ Schwetz lässt die Trainer aber zunächst einmal zufrieden darüber nachdenken, welche Sportler am morgigen Sonntag für die Team-Wettbewerbe bei der Elite und bei den Junioren nominiert werden. 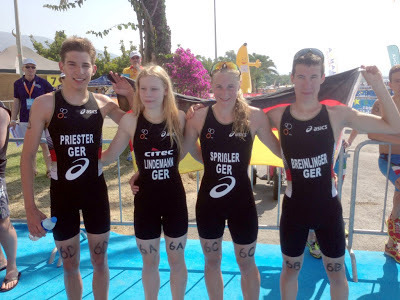 Die Junioren der Deutschen Triathlon Union reihten sich letztlich in die bislang guten Resultate der deutschen Triathleten bei der Europameisterschaft in Alanya ein. Lasse Priester (Quickborn) landete als Bester nach 53:29 Minuten auf Rang neun, Jonas Breinlinger (Saarbrücken, 53:57 Minuten) wurde 16., Uli Hagman (Freiburg, 54:04 Minuten) folgte auf Rang 18, und bei seinem Debüt mit großem Pech bei einem Massensturz auf dem Rad war der A-Jugendliche Lasse Lührs (Potsdam) noch ordentlich als 40. ins Ziel gelaufen nach 55:37 Minuten. Den Sieg sicherte sich Dorian Coninx aus Frankreich vor seinem Landsmann Raphael Montoya und Marc Austin aus Großbritannien. 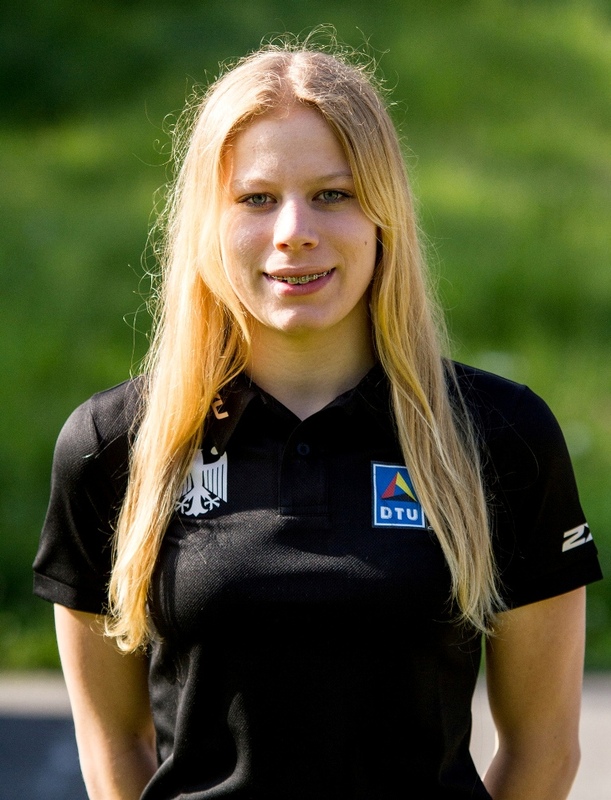 Rachel Klamer (NED) earned her first European title in a down to the line sprint finish in Alanya, Turkey on Friday. In a five-way battle for three medals, Klamer was the one who bumped up her speed in the final metres to beat out Great Britain’s Vicky Holland by just two seconds. Holland took silver, while Vendula Frintova (CZE) scored bronze to taker her second European Championships medal. The day began with 39 women diving into the ocean. Just as she did at the World Triathlon Madrid, Spain’s Carolina Routier bolted out to the front on the swim to lead the women’s field into the first transition. Klamer was hot on her heels and together with 16 more women, the leaders took off for the bike course with a 48-second advantage. With pre-race favourites Ainhoa Murua (ESP), Rebecca Robisch (GER) and Emmie Charayron (FRA) off to a slow start, the lead pack seized the first lap to put what turned out to be an insurmountable distance between themselves and the chase group. While Robisch fought to close the gap, with the large front field working together to take turns pulling at the helm, the German couldn’t bridge up over the six bike laps. Ahead of her, veterans like Jessica Harrison (FRA) and Anja Knapp (GER) pushed the pace, methodically adding precious seconds to their lead with each lap. Determined to avenge her missed podium from last year, Harrison jutted out to the front of the competition early in the four-lap 10km run, with Frintova answering the challenging pace. But Harrison couldn’t maintain the rhythm and was overtaken by Klamer, Holland, Annamaria Mazzetti (ITA), Oleksandra Stepanenko (UKR) by the midway mark. Mazzetti shined on the third lap, moving to the front of the five-deep pack. But her move was ill timed as the eventual-medallists sat back to wait for the bell lap where Klamer and Holland perfectly timed a last-minute break. The duo sprinted away, with Klamer just outracing Holland in 1:55:43 while the Brit crossed over in 1:55:45. The win was Klamer’s fourth in Alanya, having won three European Cups here in the last four years. Frintova held on for third, fending off Mazzetti in 1:55:53. After a couple of months out due to injury, Georgia Taylor-Brown showed no ill effects in what was her first European race this year. As part of a lead group of three entering T2, she left her rivals in her wake to cruise home. Germany’s Laura Lindemann finished second in her first ever European Championships and Italy’s Angelica Olmo secured the final podium place, also in her first ever European Championships. “I didn’t think at all that I was going to win as I’ve had two months out from injury and have only just started back running,” said Taylor-Brown. “But I didn’t put any pressure on myself, just told myself to do what I do and it worked out. 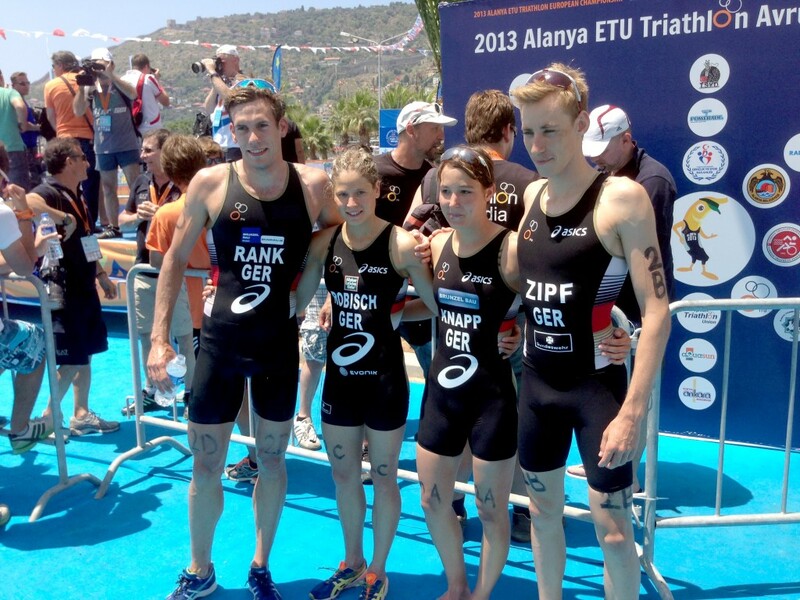 Alanya, Turkey is host of the 2013 International Triathlon Union European Championship. Follow day 1 and 2 of this little video diary by Haree Hajas with age group pre-race action, first race resuults and some more swim, bike, run impressions in three videos. Renata Bertrandi, President European Triathlon Union: "The event looks great - so far what we saw. Starting from the pasta party and parade of nations." Mit zwei Top Ten-Resultaten haben die Damen der Deutschen Triathlon Union bei der Triathlon-Europameisterschaft in Alanya ein hervorragendes Ergebnis erzielt. Anja Knapp (Dettingen) wurde mit der Zeit von 1:56:39 Stunden Sechste und Rebecca Robisch (Saarbrücken) erlief sich mit 1:57:09 Stunden Rang zehn. Neue Europameisterin ist die Niederländerin Rachel Klamer, die nach 1:55:43 Stunden, Vickie Holland (GBR) um zwei Sekunden auf den Silber- und Vendula Frintova (CZE) um zehn Sekunden auf den Bronzerang verwies. Erwartet weit vorne kam Knapp als Fünfte aus dem Wasser und konnte sich so in die 18-köpfige Spitzengruppe einordnen, zu der auch viele der Favoritinnen, wie Frintova, Jessica Harrison (FRA), Klamer, Irina Abysova (RUS), Melanie Hauss (SUI) oder die Britinnen Holland und Vanessa Raw zählten. 50 Sekunden dahinter kam Robisch aus dem Mittelmeer und musste sich so mit der Verfolgung arrangieren. Allerdings war die Saarbrückerin mit nur sieben weiteren Athletinnen in Gruppe zwei, so dass der Vorsprung der Spitze zunächst anwuchs, zwischenzeitlich mehr als 1:30 Minuten betrug und sich am Ende auf 1:28 Minuten belief: auch weil die Führenden sich grundsätzlich einig waren und den starken Läuferinnen unter den Verfolgerinnen wie Robisch keinen Zugriff mehr auf den Medaillenkampf gewähren wollten. Im Kampf um das Podium entwickelte sich eine spannende Entscheidung, da Harrison schnell das Tempo überzogen hatte, und auch Frintova noch einmal aufgelaufen wurde. Damit gingen fünf Frauen nahezu zeitgleich in die finale Runde. In dieser setze sich das spätere Siegertrio vom Rest ab und am Ende sicherte sich im Sprint dann Klamer die EM-Krone. Robisch war zwar die schnellste Läuferin aus Gruppe zwei, doch war der Rückstand zu groß. Am Ende mit der besten Laufleistung aller EM-Teilnehmerinnen sprang ein toller zehnter Platz heraus. „Im Ziel und nach dem Lauf bin ich zufrieden, aber das Schwimmen hat mich schon ein wenig enttäuscht“, schaute Robisch mit einem lachenden und einem weinenden Auge auf den Wettkampf, entschied sich aber letztlich für das lachende. Einen tollen Auftakt bescherte Juniorin Laura Lindemann aus Potsdam der Deutschen Triathlon Union bei der Europameisterschaft in Alanya. Mit einer beherzten und engagierten Leistung holte sie nach 59:03 Minuten die Silbermedaille. Im Sprintrennen der Juniorinnen musste sie sich nur der Titelverteidigerin Georgia Taylor-Brown (GBR, 58:46 Minuten) geschlagen geben. Dritte wurde die Italienerin Angelica Olmo (59:11 Minuten). Für die beiden Freiburgerinnen Laura Sprißler (1:01:30 Minuten) und Sarah Wilm (1:02:10 Minuten) lief das Rennen etwas unglücklich. Sprißler erhielt nach dem Radfahren eine Zeitstrafe und erlief sich letztlich noch Rang 20. Wilm verpasste nach dem Schwimmen eine Radgruppe, musste so hinter dem Feld herfahren und kam mit der schnellsten Laufzeit (17:16 Minuten) noch auf Rang 23. Die jüngste im DTU-Bunde, Charlotte Ahrens (Rostock, 1:02:59 Minuten), erreichte bei ihrem ersten EM-Auftritt einen achtbaren 28. Platz. „Laura hat ihren starken Saisoneindruck bestätigt. Glückwunsch zu dieser Leistung, die sehr engagiert und auch taktisch reif war“, sagte DTU-Cheftrainer Ralf Ebli nach dem Rennen. Kai Walter, Chief Operating Officer (COO) Europe der World Triathlon Corporation (WTC) schaut mittlerweile auf über 10 Jahre IRONMAN in Frankfurt am Main zurück. Wenige Tage nach der offiziellen Saisoneröffnung beim IRONMAN 70.3 auf Mallorca, kurz vor der Premiere des IRONMAN 70.3 Berlin und der offiziellen Pressekonferenz der IRONMAN European Championship in Frankfurt am Main gibt der ehemalige Major der Bundeswehr Einblick in die nächsten Monate rund um den IRONMAN Triathlon in Europa. DNF is no option / 3athlon.org: Herr Walter, der IRONMAN 70.3 auf Mallorca scheint sich mit über 3.000 Startern bereits im dritten Jahr prächtig zu entwickeln. Worin liegen die Ursachen begründet? Kai Walter: Mallorca ist Mallorca - mit dem ganz eigenen Flair. Strand, Palmen, Sonne und IRONMAN. Es bieten sich sehr gute Reisemöglichkeiten, der Termin als Saisoneröffnung passt, wir haben mit Thomas Cook als Reiseveranstalter einen ausgesprochen professionellen und anerkannten Partner hier und vor Ort - alles in allem ein rundes Paket. Zudem haben wir in diesem Jahr nochmals mit der Umgestaltung der Eventarea am Beach und der Wechselzone einen Standard gesetzt. DNF: Sind in diesem Jahr noch weitere Ankündigungen zu vergleichbaren Wettkampf- und Urlaubsdestinationen zu erwarten? Wenn ja, wie viele? Kai Walter: Der Wettkampfkalender für 2013 ist ja nun bekannt, wir sind mitten in der Saison. Für 2014 sind wir gerade mitten in den Planungen. Wir werden in Sachen neue Rennen sicher einiges vermelden können. DNF: Die WTC hat angekündigt, dass ab 2014 die Weltmeisterschaften auf der Halbdistanz, also im IRONMAN 70.3 Triathlon im Jahresrhythmus rotieren werden. Welche Chancen räumen Sie den stark aufgestellten europäischen Events wie Mallorca, Wiesbaden oder auch Zell am See ein? Kai Walter: Die IRONMAN 70.3 Weltmeisterschaft wird sicherlich auch in Europa stattfinden. Einige Bewerbungen von Austragungsstätten liegen uns bereits vor. DNF: In Prozent ausgedrückt, wie hoch liegen die Chancen, dass einer der Standorte bereits 2015 oder 2016 Austragungsort der WM wird? Welche Kontinente und Events könnten die größte interne Konkurrenz darstellen, nachdem 2014 der Zuschlag nach Kanada ging? Kai Walter: Das ist ein sehr offener Prozess. 2014 wird die IRONMAN 70.3 Weltmeisterschaft in Mont-Tremblant, Québec, Kanada ausgetragen. 2015 ist ein Ort in Europa möglich. DNF: Der sportliche Anspruch der Strecke, ein reizvolles Umfeld und wahrscheinlich auch ein reges Teilnehmerinteresse sind Basisfaktoren, die eine erfolgreiche Bewerbung unterstützen. Welche anderen Aspekte spielen bei einer Vergabe eines WM-Rennens eine Rolle? Kai Walter: Die Auswahl für einen IRONMAN oder einen IRONMAN 70.3 ist grundsätzlich ein Gesamtpaket der sportlichen und logistischen Anforderungen, der Unterstützung der Austragungsstadt und der Region, der Garantie aller erforderlichen Streckengenehmigungen und beispielsweise der unkomplizierten Anreise für die Triathletinnen und Triathleten. Wir veranstalten die Rennen, um für die Athletinnen und Athleten die bestmöglichen Bedingungen zu schaffen, damit sie ihren Sport erfolgreich ausüben können. DNF: Wie hat man sich so ein Bewerbungsverfahren innerhalb der WTC vorzustellen? Wie wird so etwas entschieden? Kai Walter: Grundsätzlich kommen Städte, Regionen oder Organisationen auf uns zu und übersenden uns alle notwendigen Unterlagen zur Austragung potentieller IRONMAN Events. Danach erfolgt der Auswahlprozess unter Berücksichtigung der bereits oben geschilderten Bedingungen. Wir legen hierbei sehr viel Wert auf Qualität, um den IRONMAN Athleten optimale Bedingungen bieten zu können. DNF: Wie sind die drei weiter oben benannten 70.3-Triathlons im Bereich des Sponsorings ausgestattet, wenn wirtschaftliche Faktoren eine Rolle bei der Auswahl mitspielen? Kann man dies zu diesem Zeitpunkt final für 2015 beziffern? Kai Walter: Grundsätzlich ist u.a. eine finanzielle Unterstützung der Gastgeberstadt/-region eine wesentliche Grundlage, um mittel- und langfristig ein Rennen auf höchstem Niveau organisieren zu können und es für alle Beteiligten erfolgreich zu machen. Diese Unterstützung beschränkt sich hierbei nicht nur auf den finanziellen Teil, sondern auch auf Genehmigungen, Bereitstellung von logistischer Unterstützung, Zusammenarbeit in der Vorbereitung - um nur einige Punkte zu nennen. DNF: Vergleichbares gilt wahrscheinlich dann auch für die Vergabe der EM? DNF: In diesem Jahr macht die WTC mit dem IRONMAN 70.3 Berlin in der Bundeshauptstadt Station. Probleme bei der Streckengenehmigung führten zu einer starken Umstrukturierung der Rad- und Laufstrecken. Rund 250 von 1.300 gemeldeten Athleten haben das Angebot der WTC genutzt, um kostenlos auf einen anderen 70.3 in Europa umzubuchen oder auf einen Start komplett zu verzichten. Welche Unterschiede können Sie im Jahr 1 der Durchführung unter dem WTC-Label mit den etablierten Triathlonveranstaltungen in Frankfurt oder auch Wiesbaden, St. Pölten oder Nizza ausmachen? Kai Walter: Der IRONMAN 70.3 Berlin ist eine Lizenzveranstaltung, die vom lokalen Veranstalter in alleiniger Verantwortung durchgeführt wird. Zukünftig ist es unser Interesse, bei allen Rennen in Europa die operationelle Kontrolle zu haben. DNF: Die WTC hat in den USA eine Initiative zur Verbesserung des Schwimmens gestartet. Wellenstarts, Aufwärmzonen, Ruhepontons, uvm. gehören zu den verschiedenen Maßnahmen, die je nach Anforderungs- und Streckenprofil in Nordamerika zum Einsatz kommen. "SwimSmart" scheint insbesondere dem Umstand Rechnung zu tragen, dass sich immer mehr Einsteiger an die Herausforderung Ironman wagen und das Schwimmen, als für den Menschen vordergründig "unnatürlichem" Lebensraum, Ängste und Risiken birgt. Werden nach einer Evaluierungsphase erfolgreiche Elemente auch in den anderen Kontinenten eingeführt? Kai Walter: Ja, das planen wir, wenn dies erfolgreich ist und von Athleten angenommen wird. Die Sicherheit der Athletinnen und Athleten steht für uns an oberster Stelle. DNF: Andrew Messick, CEO der WTC hat keine Angst alte Zöpfe abzuschneiden und vermeintliche Konventionen und Traditionen auf den Prüfstand zu stellen. Wie hoch erachten Sie die Wahrscheinlichkeit, dass sich IRONMAN oder IRONMAN 70.3 auch den weltweit boomenden Staffelformaten öffnet? Kai Walter: Staffelformate beim IRONMAN sind nicht geplant - IRONMAN ist IRONMAN. Beim IRONMAN 70.3 sind sie dagegen möglich. DNF: Zurück zum IRONMAN in Frankfurt. Sie haben ihn gemeinsam mit Kurt Denk zum Flagschiff-Triathlon der WTC in Europa aufbauen können. Abgesehen von der Erstaustragung des Ironman New York, der WM auf Hawaii und mit einigen Abstrichen der Challenge in Roth und der Kurzstrecke in Hamburg hat wohl kein Triathlon ein vergleichbares Budget. Welche Neuigkeiten gibt es hier zu vermelden? Kai Walter: Die Frankfurter Sparkasse IRONMAN European Championship war immer und ist ein besonderer Wettkampf in einer reizvollen Metropole. Hier entstehen völlig andere Kosten. Unser Budget ist seit Jahren konstant. Wir stellen die Zufriedenheit der Athleten in den Mittelpunkt, daran orientieren sich unsere Planungen und letztendlich auch Ausgaben. Wenn wir die Feedbacks der Athleten auswerten, sehen wir, wo wir noch investieren sollten und tun dies. Nirgendwo sonst wird eine Metropolregion für 12 Stunden gesperrt, tickt eine Stadt im IRONMAN Fieber, überträgt Fernsehen 7 Stunden live - das ist das besondere an Frankfurt. Zudem haben wir in Frankfurt schon einige Neuerungen im Sport präsentiert. Das Thema Innovation steht hier als Leitbild. Wir haben im Equipment, beispielsweise Wechselzone und Zelte investiert, genauso wie auch in Timing und die Möglichkeit Rennergebnisse zu verfolgen. DNF: Sportlich hat sich für die EM in Frankfurt ein sehr illustres Feld um Marino Vanhoenacker, Eneko Llanos, Michael Raelert und Co. angekündigt. Gibt es weitere Überraschungen? Welche Bonbons sind für das Damenfeld vorgesehen? Kai Walter: Natürlich haben wir noch einige Frauen in der Hinterhand: Das Damenfeld braucht sich nicht zu verstecken - Anja Beranek als Vize-Europameisterin ist am Start, Rebekah Keat, Erika Csomor und Kristin Möller als IRONMAN Siegerinnen, dazu kommen Diana Riesler und Lokalpatriotin Natascha Schmitt. Das ist ein erlesenes Feld, das ein sehr spannendes Rennen verspricht. Bei den Männern gibt es eines der stärksten Startfelder überhaupt: Mit dem amtierenden IRONMAN Weltmeister Pete Jacobs, dem amtierenden IRONMAN 70.3 Weltmeister Sebastian Kienle, dem amtierenden IRONMAN Europameister und Titelverteidiger Marino Vanhoenacker, dem amtierenden IRONMAN Asien- und Pazifikmeister Eneko Llanos, dem jeweils zweifachen IRONMAN 70.3 Welt- und Europameister Michael Raelert, dem Weltmeister 2007 der olympischen Distanz Daniel Unger sind so viele amtierende und ehemalige Welt- und Europameister in Frankfurt am Start wie lange nicht mehr. Und ich habe noch nicht einmal alle Weltklasseathleten aufgezählt. Wir haben dieses Jahr in Frankfurt ein „Europäisches Kailua-Kona“. DNF: IRONMAN hat in Europa und besonders in Deutschland zwischen 2008 und 2011 ein ambivalentes Verhältnis mit dem organisierten Sport gepflegt - sei es auf Landes- oder Bundesebene. Wie läuft es derzeit mit der Deutschen Triathlon Union (DTU) und den Landesverbänden in Bayern, Berlin und Hessen? Wie wichtig waren die neue Abgabenordnung der DTU und die Wahl des jetzigen DTU-Präsidiums um Martin Engelhardt? Können Synergien gemeinsam mit den Verbänden, bis hin zur European Triathlon Union (ETU) oder International Triathlon Union (ITU) gehoben werden? Die angenommene Einladung von ITU-Präsidentin Marisol Casado zur WM auf Hawaii wurde in der Szene als positives Signal aufgefasst. Kai Walter: Grundsätzlich haben wir und habe ich ein gutes Verhältnis zur DTU, besonders zum Geschäftsführer Matthias Zöll. Wir schätzen in der Zusammenarbeit Professionalität und sind jederzeit zu Partnerschaften mit den jeweiligen Landesverbänden bereit, solange dort professionell gearbeitet wird. Jede Kooperation im Sinne des Sports ist positiv einzuschätzen, wenn sie den Sport weiterbringen und den Athletinnen und Athleten etwas nützen. DNF: Auch bei der WTC gab es in den letzten Jahren zahlreiche Veränderungen. Das Franchisemodell wurde und wird durch ein Eigentümermodell ausgetauscht, bei dem die WTC nicht nur als Lizenzgeber auftritt, sondern alle Events durch entsprechende Töchterunternehmen nach Möglichkeit selbst durchführen möchte. Mit Thomas Dieckhoff hat die Europazentrale seit dem 9. Januar 2013 einen neuen Chief Operating Officer (CEO) erhalten. Konnte er in den ersten 100 Tagen erste Akzente setzen? Kai Walter: Thomas Dieckhoff ist ein sehr erfahrener Manager. Wir ergänzen uns sehr gut und arbeiten sehr gut zusammen. Thomas hat jetzt schon einige sehr positive Akzente gesetzt, die unserem gemeinsamen Ziel dienen, die Athletinnen und Athleten bei unseren Veranstaltungen in den Mittelpunkt zu stellen und immer wieder mit Innovationen unsere Veranstaltungen zu optimieren und weiterzuentwickeln. Da Thomas ebenso selbst Triathlet ist, weiß er, wo die Ansatzpunkte sind. Zudem sind er und ich permanent unterwegs an, bei und um die Veranstaltungen herum, um die Stimmungen der Athleten aufzunehmen. Bei uns arbeiten auch die "Chefs" noch selbst. Unser gesamter IRONMAN Staff ist "anfassbar". DNF: Wie viele Mitarbeiter hat die WTC mittlerweile am Standort Hanau-Steinheim und in Europa, etwa am Standort Klagenfurt insgesamt? Kai Walter: Wir sind ca. 40 Mitarbeiter in Europa, verteilt auf 5 lokale Büro in Europa mit Schwerpunkt und Headquarter in Frankfurt. DNF: Der Eigentümer der WTC soll seinerzeit einen Verkauf für 2014 oder 2015 vorgesehen haben. Mittlerweile scheint auch durch Aussagen von Thomas Dieckhoff dieser Plan vorerst vom Tisch zu sein. Er sprach von "nachhaltigem Wachstum". Kai Walter: Natürlich sprechen wir von „nachhaltigen Wachstum“. Wir alle - Eigentümer, Management und Mitarbeiter - wollen jedem Athleten die einmalige IRONMAN Erfahrung möglich machen. Der Mythos IRONMAN bleibt - jeder der den Virus hat - weiß das! DNF: Wo sehen Sie die WTC und IRONMAN in 5 Jahren? Wie viele Triathlons werden dann von Florida und den verschiedenen Zentralen aus organisiert? Kai Walter: Wir werden auch in fünf Jahren Veranstaltungen organisieren, die Schwimmen, Radfahren und Laufen zum Inhalt haben und uns alle vom großen IRONMAN Finish träumen lassen. "Call him an IRONMAN" nachdem die Ziellinie überquert wurde - das gibt es nur bei IRONMAN. DNF: Wo sehen Sie den Triathlonsport im gleichen Zeitraum in Deutschland und weltweit? Kai Walter: Der Triathlonsport wird weiter wachsen, in Deutschland und weltweit, IRONMAN wird hierbei Ursprung und Flaggschiff zugleich sein.